How Much is that XYZ in the Window? It’s been a while. Which seems to be a recurring theme around here, as in life. 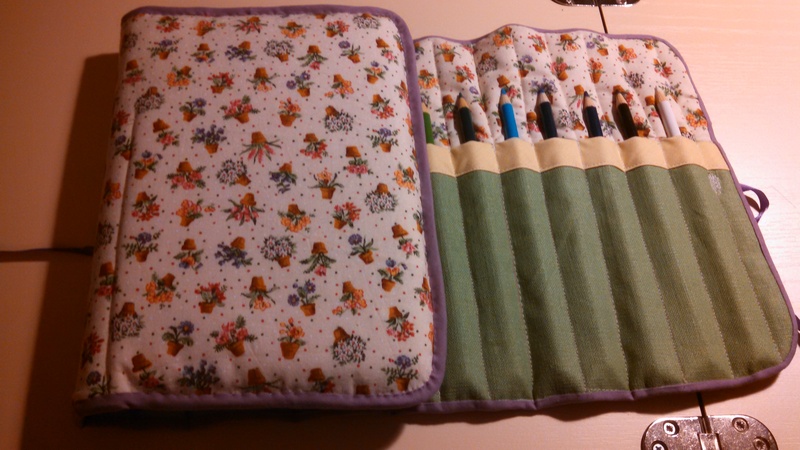 I’ve not been posting, but I’ve been sewing…and crafting, and cleaning, and attempting a little gardening. It’s springtime, which means an explosion of activity on all fronts, and I’ve been trying to play “keep up.” Knowing that I was starting to run myself ragged, trying to do all the things! I’ve made an effort to let some things go. I stepped back from some hectic scheduling duties with the church — and had to reassure people that I wasn’t leaving, so much as taking a much needed breather. Considering I’ve been running full speed ahead on that front for about five years now, a little break was overdue. In an attempt to keep better track of the sewing projects I’ve got in the air, as well as how long it actually takes to make everything, I created a spreadsheet for projects currently in my queue. It sounds terribly boring, I know, but just putting everything into a list that I can track and move around as things are completed helps me feel like I’m actually making progress. This is also a way for me to make more accurate quotes for commissioned work – it’s easy to figure out how much material you’ll need for a dress shirt, as well as other notions such as buttons and thread, but you also need to factor in the actual time you’ll need to make said shirt, for two reasons: one, so people know when to expect the shirt and two, so people understand how much your time is worth. That last is a pretty tricky area, when it comes to hand-made items. Labor costs for other skilled jobs – computer repair, carpentry, interior design, automotive repair, etc – seems to be relatively easy for most people to justify. Of course the labor cost is going to be significant for something like that…after all, you are, ideally, getting services from people who have some training and experience behind them. But why, then, do we not consider the same things in terms of hand-made items? Sewing – skilled sewing – is something that takes time to master, yet it is consistently underpriced and undervalued. People want tailored items – wedding dresses, suits, etc. – but don’t understand the work that goes into them. Or they see a quilt and balk at a price that more fairly represents the time, resources and skill that went into making it. There’s a sense that people make their own clothes because it’s somehow cheaper…nope. At least, that hasn’t been my experience. I like to make some of my own clothing (and would love the time and ability to make more) because it means I get a fine-tuned fit. I can allow for my wider upper arms, and do a full bust adjustment, while tapering the sleeves to fit better around my admittedly tiny wrists. For what I spend on fabric, as well as in value of my time, I could have purchased four, maybe five shirts. But they probably wouldn’t fit as well, or might only be available in one or two colors, whereas my hand-made items are made for me (by me, of course), with my personal quirks and likes taken into account. The majority of things I make for other people are given as gifts. Quilts, book covers, purses, baby bibs, slippers…all made because I thought someone would appreciate a personal touch. I have never sold a quilt. Nor do I think I will ever get to a point where I could. Unless I was given the freedom of time and funds to do just that. If I could make a living from sewing and creating, believe me, I would. I love it. But that’s where that value-of-skill comes back into play. Recently, I’ve received a few inquiries about making specific items. Clothes, mostly. That’s what really spurred my decision to keep better track of my sewing. I factored a labor cost into my spreadsheet, at the exorbitantly low price of $15/hour. I say “exorbitantly,” because it’s about half of what someone else charges as their hourly rate. But that rate is for something that people recognize as needing skill to perform. That’s certainly not to say that sewing doesn’t require a skill. It does. But people still don’t seem to realize how much skill is involved. “It’s just a hem.” That’s what many a bride used to say to my friend Angelica, who used to work in alterations. Yes. A hem…on three to four layers of material, half of which frays, the other half of which is so light and airy that it’s nigh impossible to get it to sit the same way twice, and there’s probably about 30 yards of length in total, in said hem. So, we need to value the time that goes into the work we do. Hence, my spreadsheet. I shall give you some examples. I made two infant-sized bibs last night. From cutting out, through assembly, to finishing the edges with bias binding, I spent three hours on them. At $15/hour, that would make them $45. Of course, these prices don’t include the cost of materials, or the cost of the journal and color pencils for that one project. That’s just time alone. At $15/hour. Considering how many years I’ve been sewing, I could conceivably adjust my hourly rate a bit higher. For the sake of this experiment, though, I’ve opted to keep things low. Since these items are made as gifts, instead of commissions, the recipient doesn’t usually know how much time and money went into the item. Some of them can guess, as they make things themselves, but I don’t hand them a read-out of total labor+material costs. This brings me to commissions. The whole reason I’m doing this is so that I can educate people on what actually goes into making the things they want. I want them to understand that, if they are contacting someone to make something for them, they are paying for the skill and time that goes into it, in addition to the materials. Sure, we could slap some things together – not bother to take time matching stripes or plaids on a shirt or vest, do quick and shoddy repairs…but that wouldn’t be fair to either side of the equation. It certainly wouldn’t be fair to the customer who, presumably, is getting a non-commercially-made item because they want a better fit and finished product. And it’s not fair to the craftsperson who likes to take pride in their work and has spent years honing their skills.